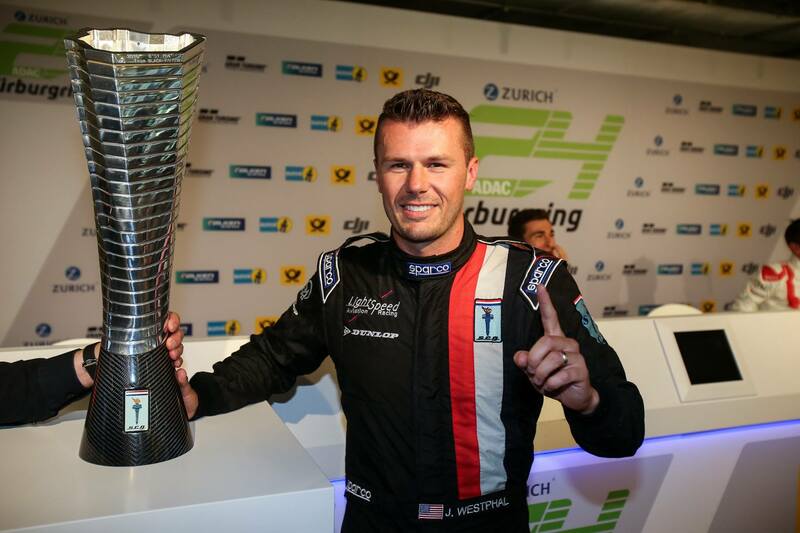 Audi has won the 2017 Nurburgring 24 Hours after dominating for most part of the race, and eventually scoring a double podium. 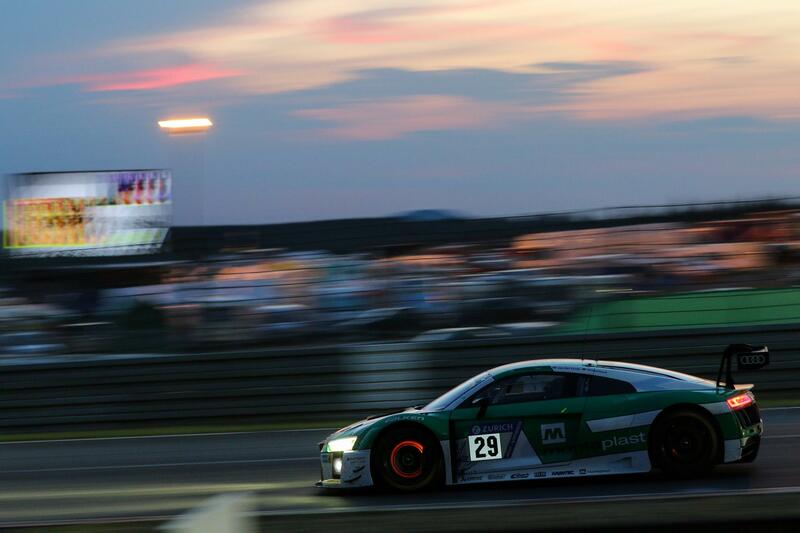 The #29 LAnd Audi R8 LMS driven by Mies, De Phillippi, Winkelhock and van der Linde crossed the finish line first leading the #98 Rowe Racing BMW M6 GT3 of Palttala, Catsburg, Sims and Westbrook. 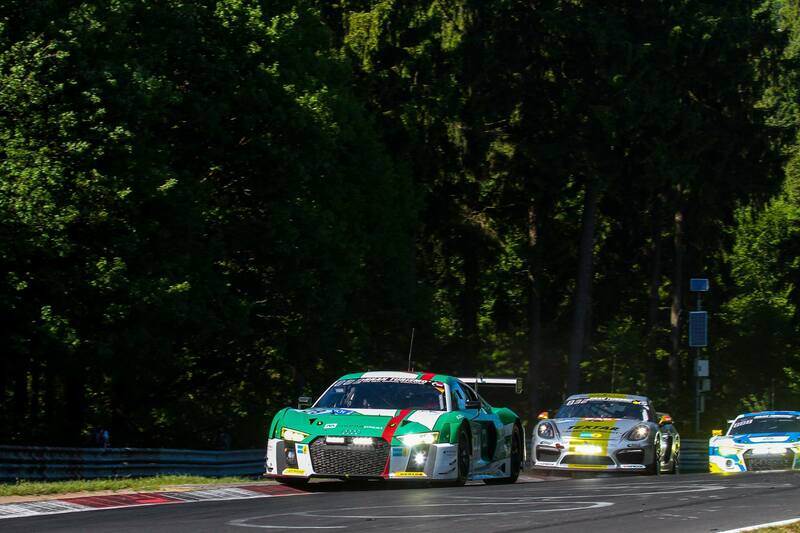 Last place on the podium went to the #9 WRT Audi R8 LMS of Nico Müller, Fässler, Frijns and Rene Rast, the team held P2 for a significant part of the race. 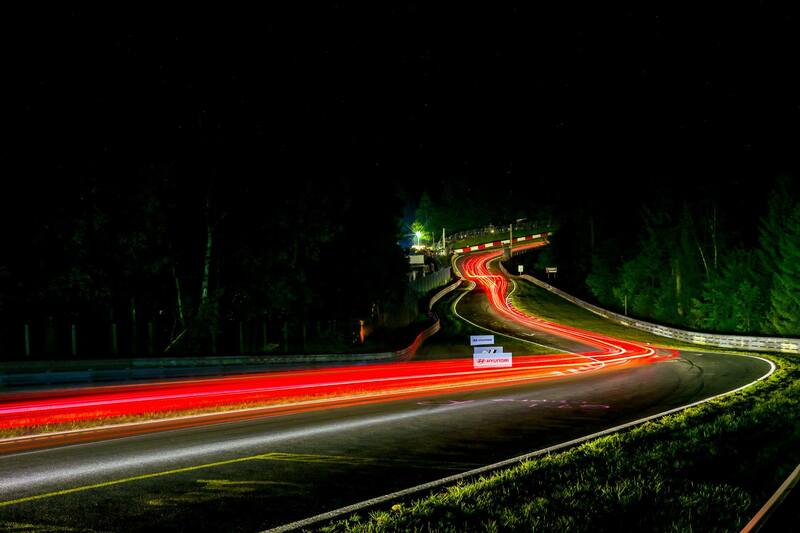 The #37 Bentley Continental GT3 finished 16th overall but first in the SP 9-LG class, sharing the podium with the #102 BMW Z4 GT3 and the #36 Bentley Continental GT3 sister car. 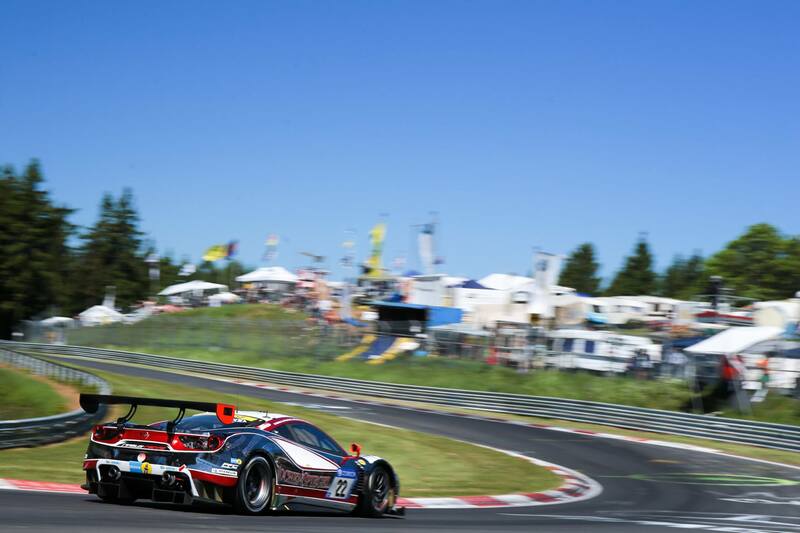 The SP-X category was won by team Glickenhaus with the #702 SCG 003C, the #150 Porsche Cayman 981 GT4 CS finished second in this class while the #18 ABT AUDI R8 LMS GT4 rounded off the podium. 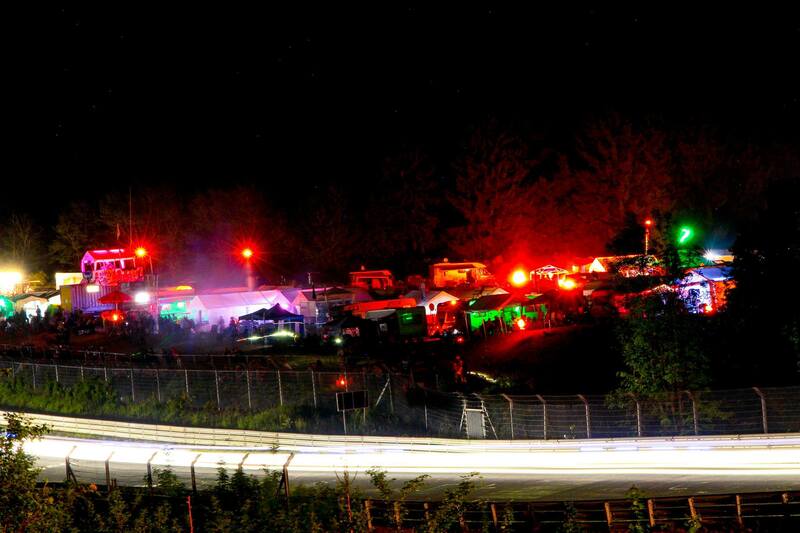 As opposed to last year’s race, the 45th Nurburgring 24 Hours started under vibrant conditions with 156 cars making it to the start line. Sunshine and a thrilling crowd was part of the package as Glickenhaus and team led the field, with Jeff Westphal starting from pole in the #704 SCG 003. 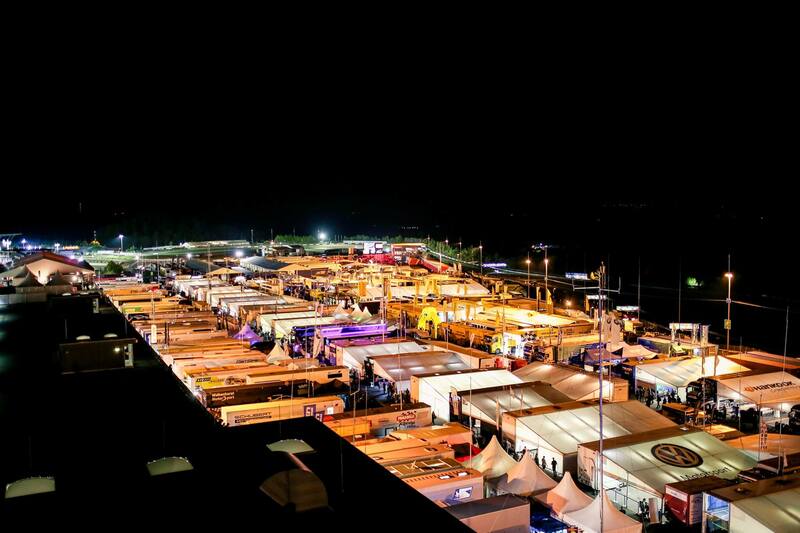 The start was smooth for the SCG 003 but the second placed #29 Land Audi R8 LMS lost three places, allowing Rene Rast and Nico Muller in similar Audi cars to take second and third. 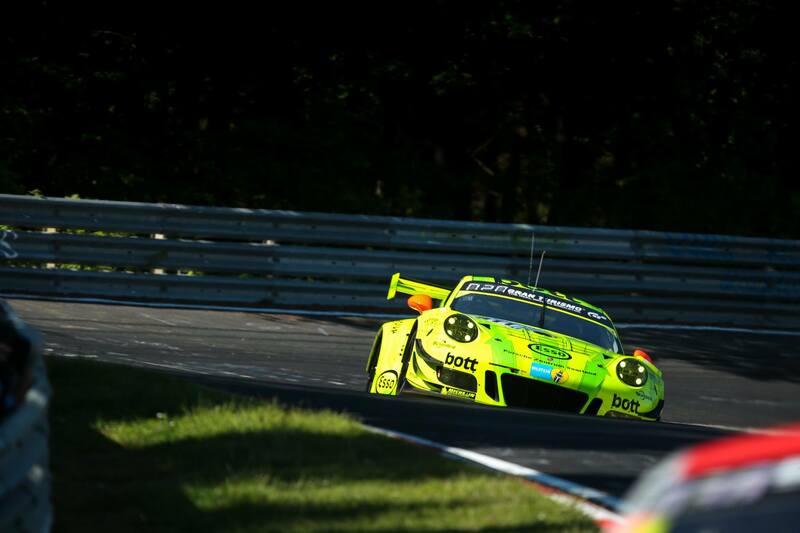 Rast also found a spot and passed Westphal who had to brake for a slower car ahead. 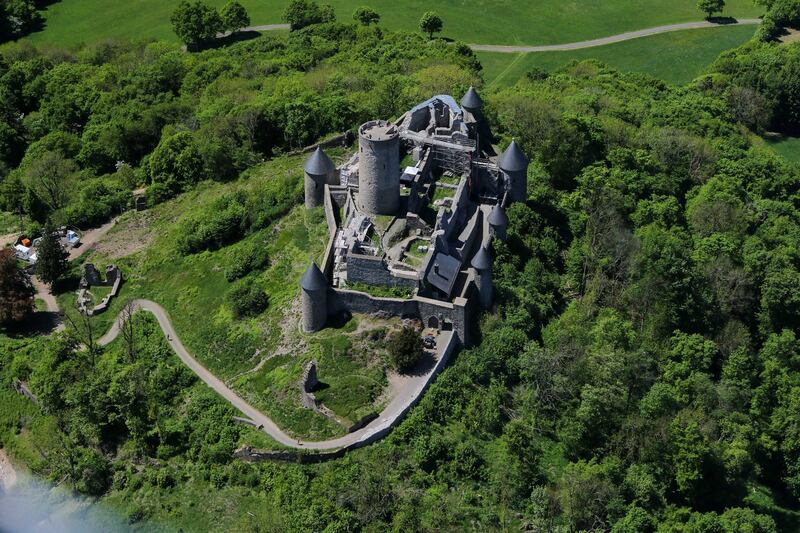 But the SCG 003 driver regained his lead when Rast had to slow down too in a similar situation. 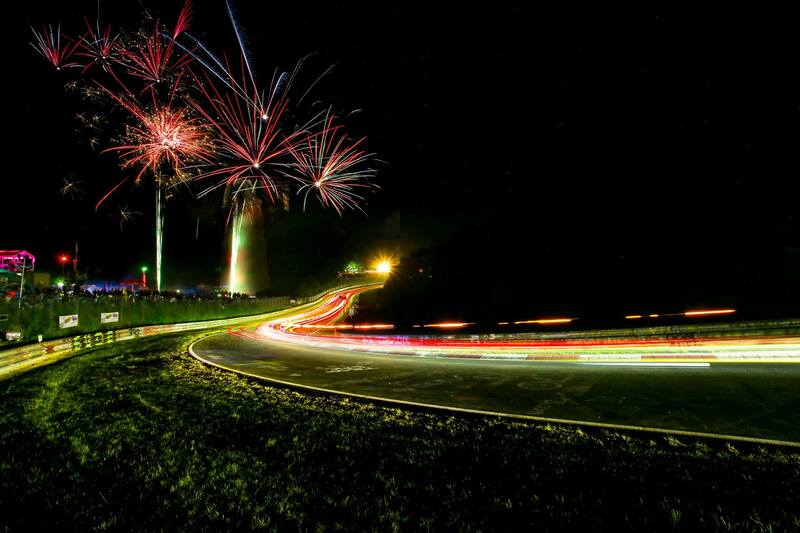 Cars began to be lapped as early as lap 2, and after seven laps, and with one hour gone, it was Westphal who held the lead. 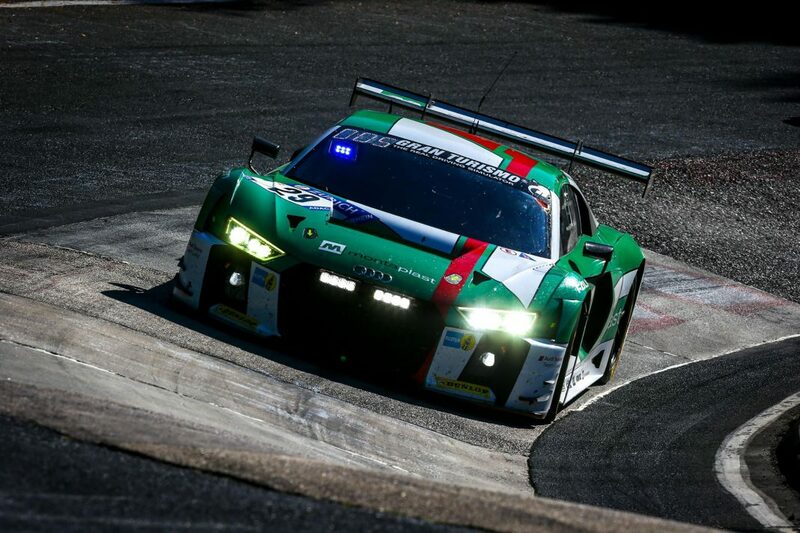 P2-P4 was filled by Audi cars but Rast had to make a pitstop. Westphal pitted too for new tires and a driver swap, Andreas Simonsen took over. The car suffered a rear damage after getting hit from behind and had to be pushed into the garage, a quick repair followed but it cost them the lead. 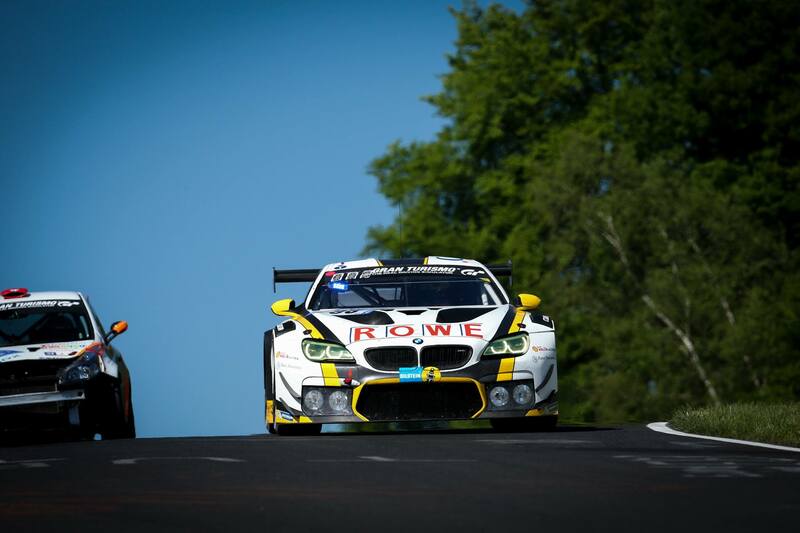 After three hours, Rowe Racing was now in the lead with the #98 BMW M6 GT3, the team impressed in last year’s race with a strong performance and finish. 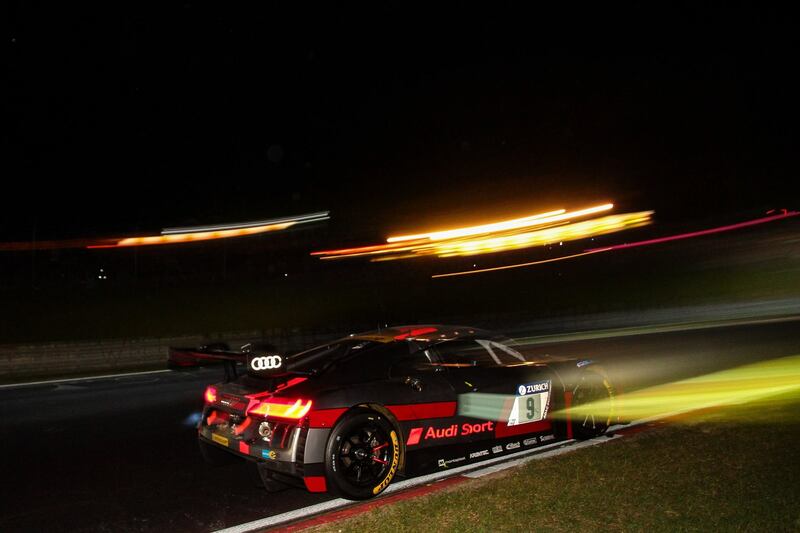 Land Audi R8 and WRT Audi held P2 and P3 respectively. 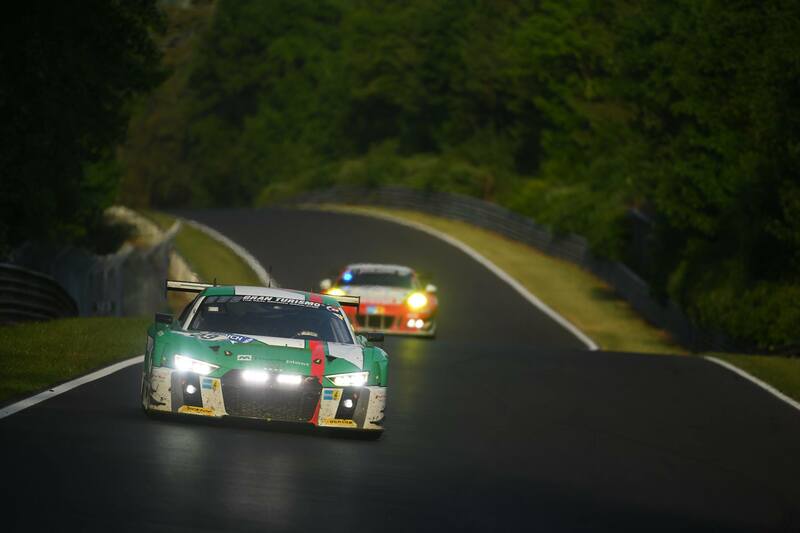 The #29 Land Audi R8 LMS was leading after five hours at the Nurburgring 24 Hours, the team had a comfortable lead of 24s over second placed #9 WRT Audi R8 LMS. 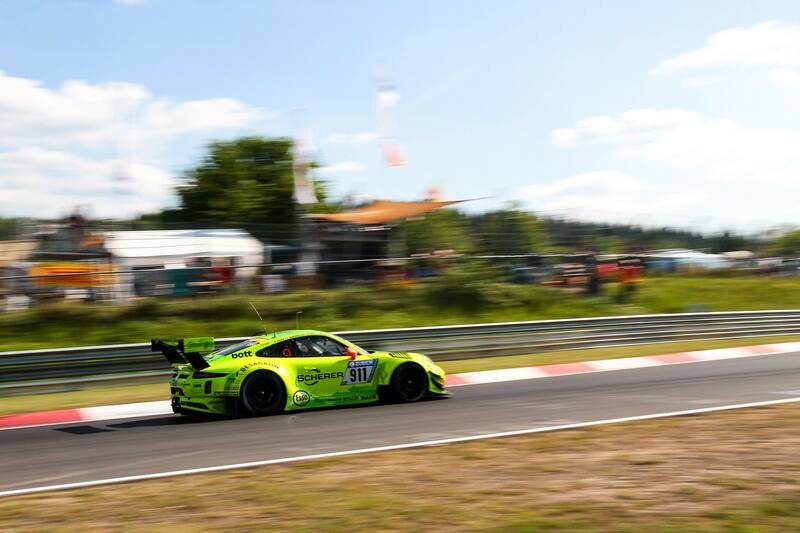 Haribo Racing were third with their #8 Mercedes-AMG GT3. 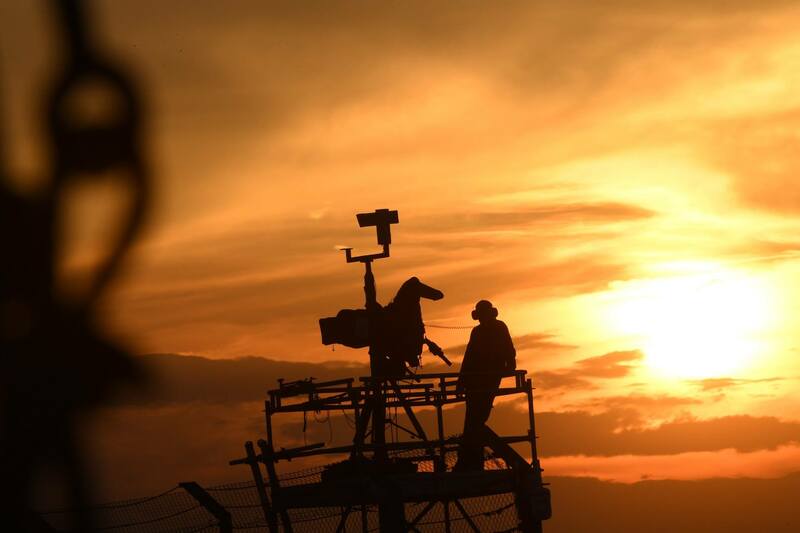 One common problem that all drivers were facing was the intense heat. “It’s super hot in the car. 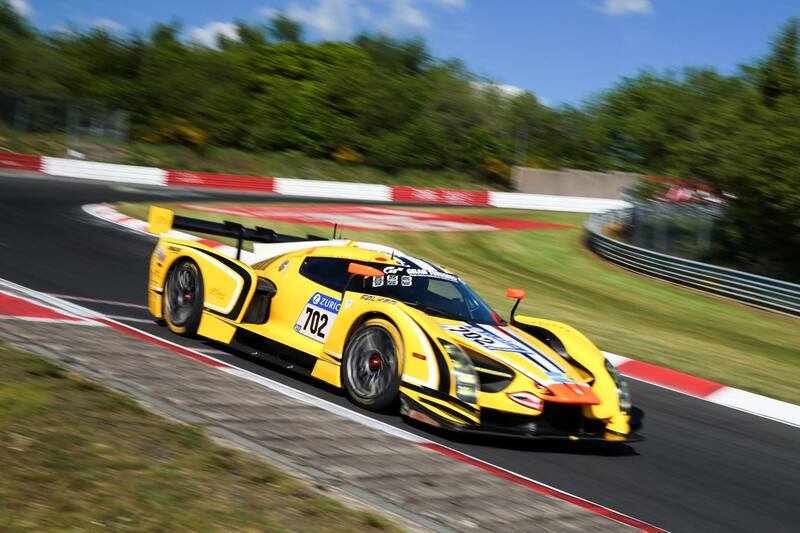 The BMW and the Audi behind me pressurised me quite a lot.” Said Felipe laser in the #702 SCG 003C. 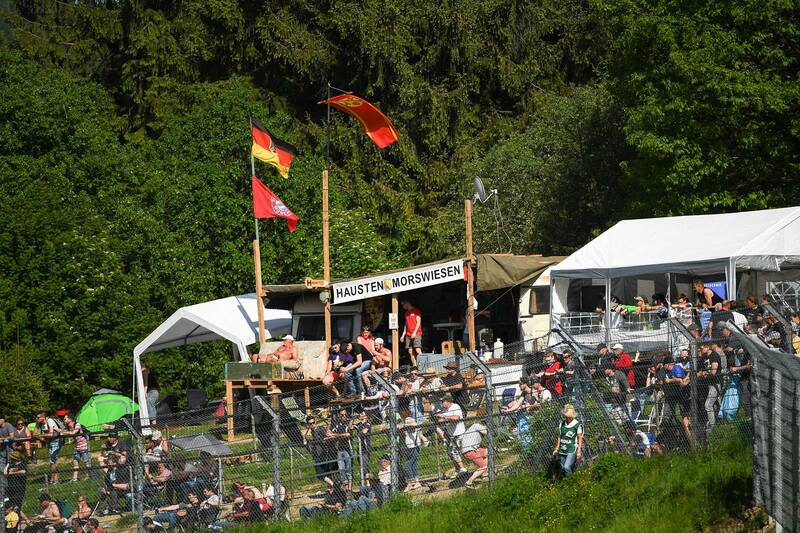 “It’s rather hot and the pace is really high.” added Christopher Haase in the #28 Audi R8 LMS. 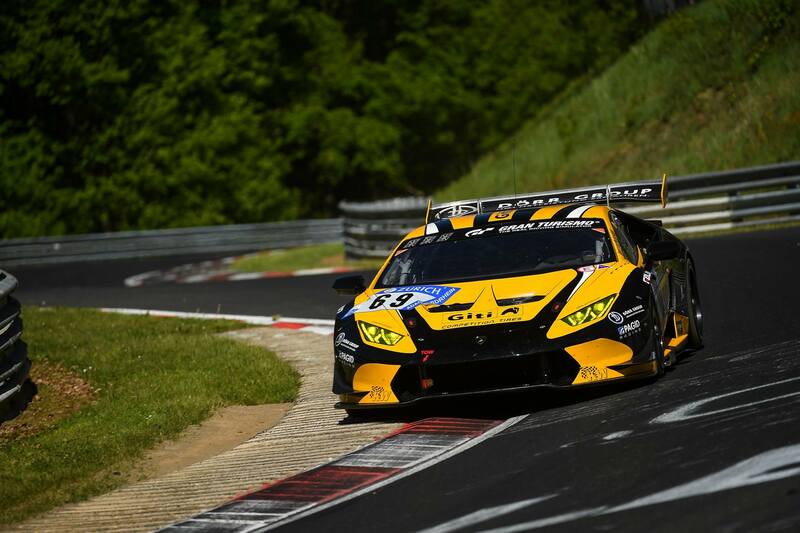 For some though, it was like driving a limousine on the autobahn, :The sun is shining but it’s not too hot in the car as we have got air condition.” said Tom Onslow in the #19 BMW M6 GT3. 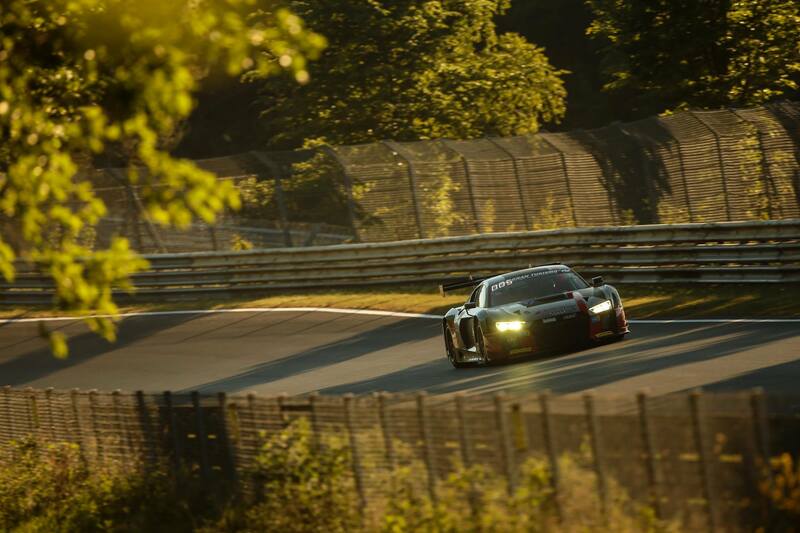 With 7 hours left to go, the Audi teams still held the lead with the #29 car in P1, a 50s gap separated them from the second placed #9 R8 LMS. 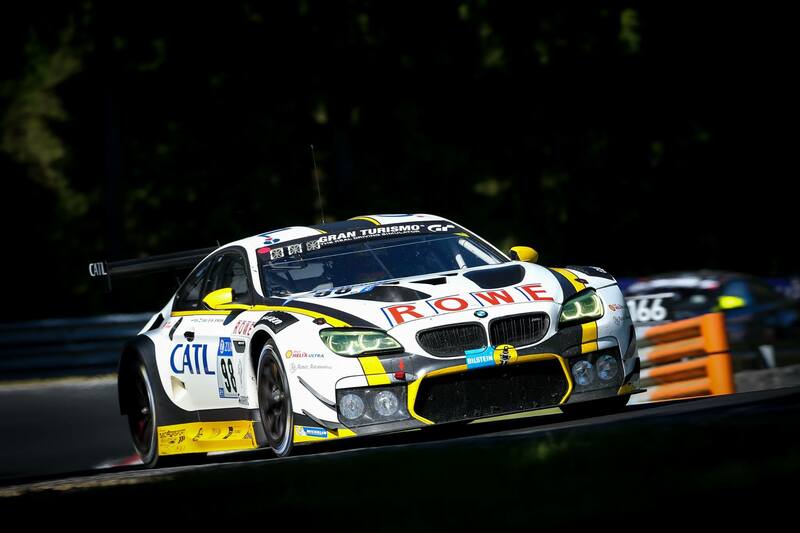 The #43 Schnitzer BMW M6 GT3 had been running a smooth third but suffered a collision and had to relinquish the position back to the #98 Rowe Racing BMW M6 GT3. 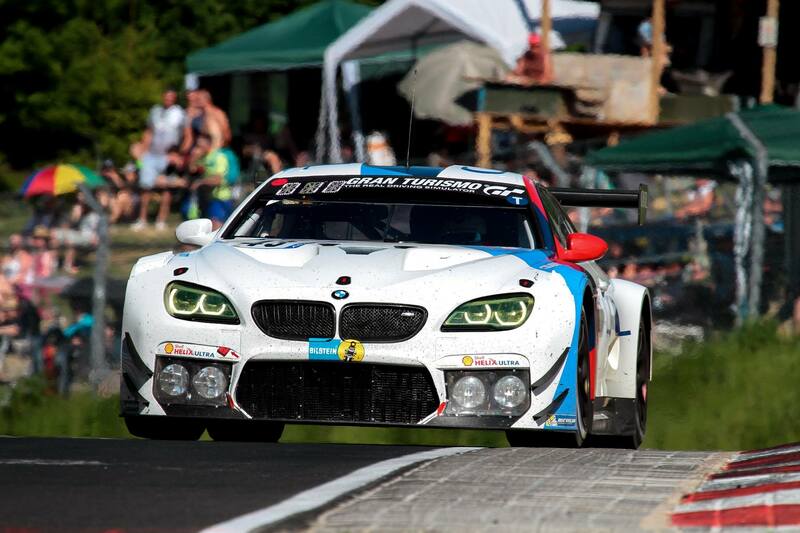 While the #43 M6 GT3 dropped to fourth, a third BMW, the #33 Falken Motorsport M6 GT3 rounded off the top five. 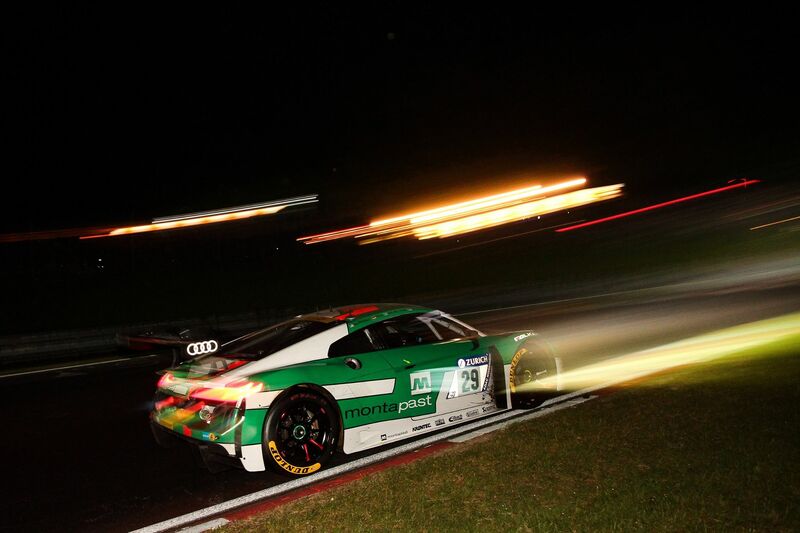 The top leaders remained unchallenged after 19 hours, with the two Audi’s still in the lead. 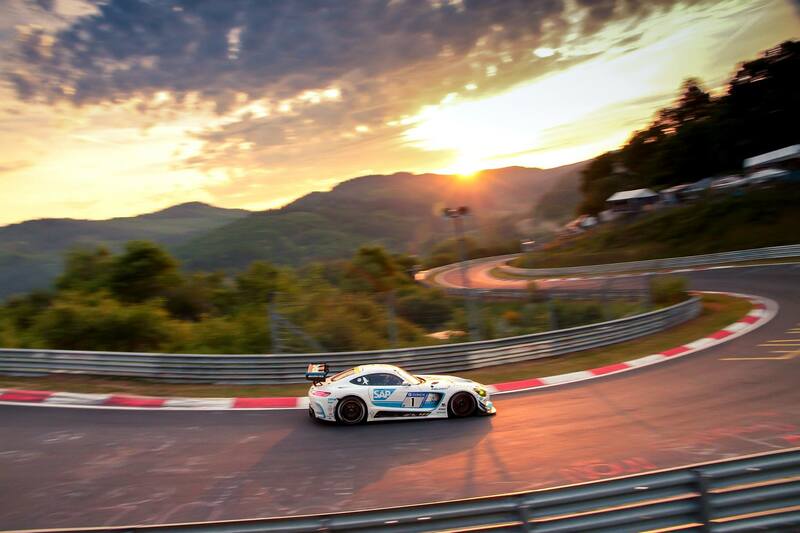 The biggest change came from the BMW camp where the #43 Schnitzer BMW M6 GT3 crashed and had to retire from the race, giving up a hard fought podium finish. 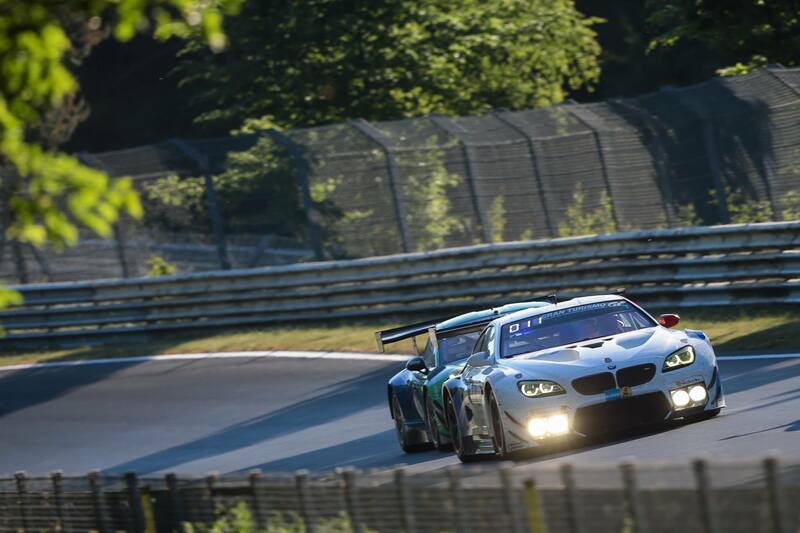 On the bright side, third place still went to a BMW, the #98 Rowe Racing M6 GT3 leading another BMW from Falken Motorsport. 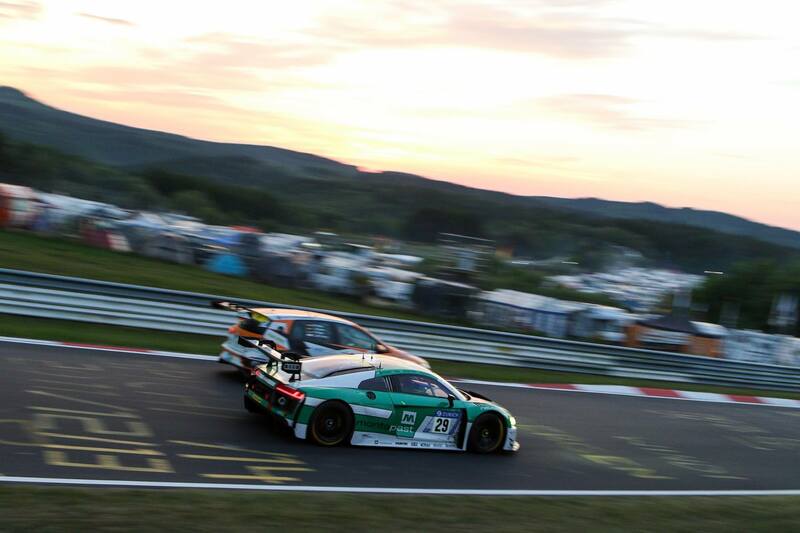 The final hours of the race were no different for the race leaders, but the #9 Audi made a final stop in the last minutes which allowed the #98 BMW to get second place, nevertheless, it was a double podium for Audi but a well deserved podium finish for BMW.